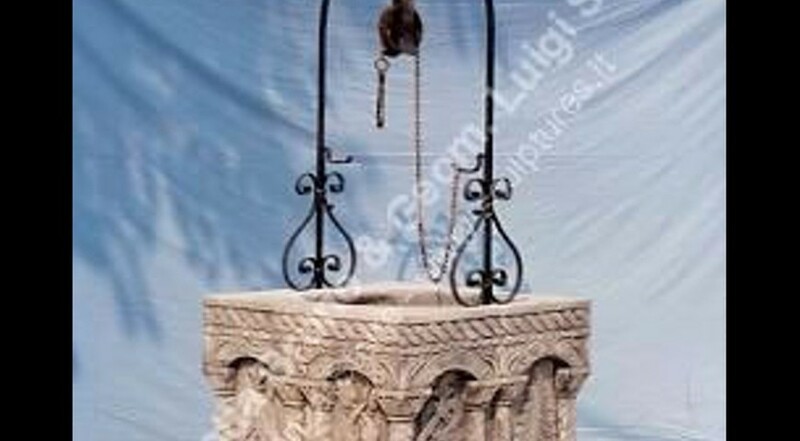 A Square large well with byzantine decorations on each panels complete with step and hand carved wrought iron with round decorated parts. Each sides of this stone well have animals and geometric figures, typical elements in the byzantine art of that period. Large leaves are carved on the base, all around top and down a geometric round details.